More than 700 athletes representing over 70 countries will compete during the 2015 Championships. The Vail Valley is hosting this event for the third time in its history and it’s setting up to be not only a memorable event, but also a historic one. 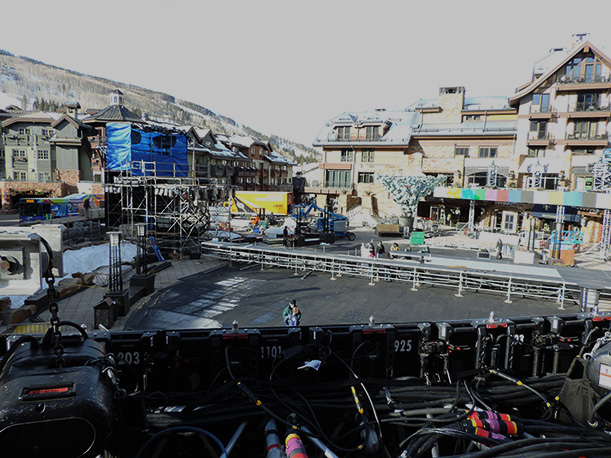 Most races will take place in Beaver Creek’s Red Tail Stadium, built just for this event and a sight to see. While Vail will host opening ceremonies, medal ceremonies, some races in Golden Peak, and dozens of concerts and other events (full calendar here). This once in a life time event will have the Valley showcasing all it has to offer, but worry not, you don’t have to sit in line for hours with thousands of other fans to get the most out it, or even leave the town of Vail for that matter! 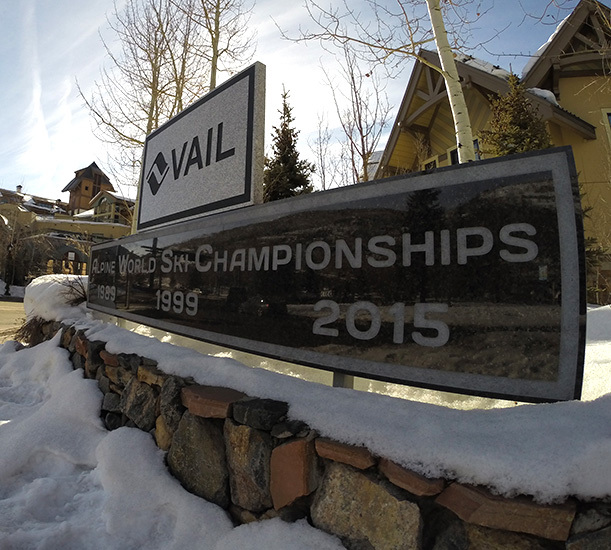 Next Monday, February 2nd at 7pm, Vail will be hosting the opening ceremonies in Solaris Plaza. 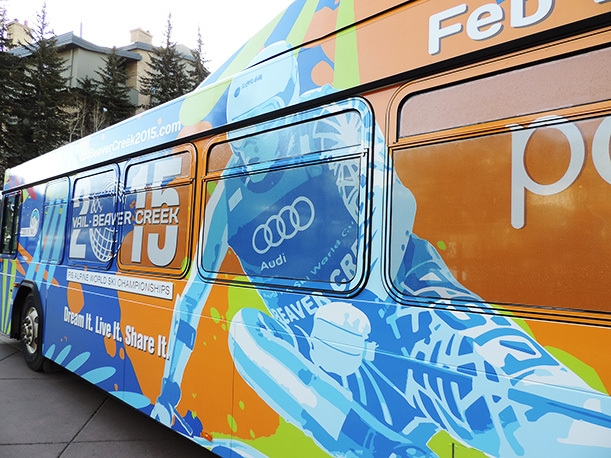 Meanwhile, because the championship races take place–for the most part–in Beaver Creek Mountain, Vail Mountain is expected to be uncrowded during major racing events. However this doesn’t mean that you have to miss seeing Lindsey Vonn take historic turns in her hometown; TV stadiums will be set through out the town of Vail to enjoy all races, and Look Ma’s in Mid-Vail has several giant screens, as well as the best Bloody Mary’s this side of the Rockies. This means that you can actually ski Vail Mountain during the expected powder days next week, while not missing any of the action in the championships; even Lindsey would approve! While the snow arrives, these last few days of January are actually skiing like spring-days. Temperatures are moderate and days are sunny, so if you must start your ski day early, be sure to check the grooming schedule previously as the mountain is going through freeze-melt cycles, and conditions are icy and crusty during early hours; better to stick to groomed runs while the snow softens. 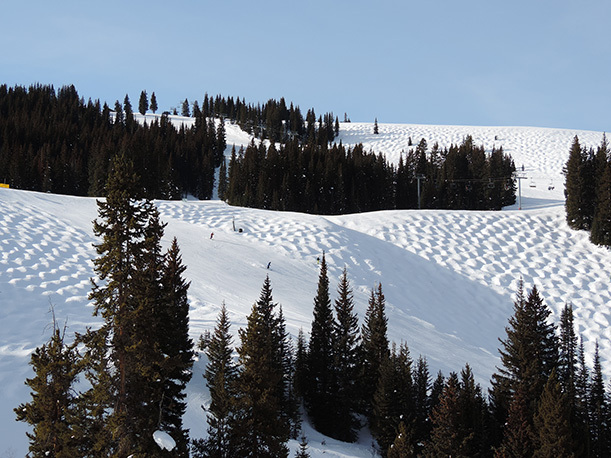 As the day warms up, some Back Bowls are actually turning into corn snow, particularly at lower elevations; keep an eye for this, as soft corn is only second to light-powder. If we do get a powder day during the weekend, and there’s more than 2″ of new snow remember to head out early to beat the commuting crowds, which start to thicken around 10am. And with any luck, next week will get another round of freshies to keep the mountain in tip-top shape.